His name was John Shobey. He took part on 6th June 1944 in invasion of the west powers on the coast of Normandy. As a soldier of a Ranger special force he fought at the landing around the section of Omaho. End of the World War II caught him in Pilsen, then he came over to Dobřany and finally he ended up on 16th May 1945 with his Range force in Dolní Lukavice. He was 26 years old but he looked younger. A uniform showed off his slim figure. From under light eyebrows gleamed his bright eyes exuding a special kind of waggery. He was sort of a nice boy with permanently tousled shock of hair. Local girls liked him, they however didn´t know how to win him over. Zdenička didn´t show interest for him. He seemed too old for her and there were so many younger ones here. At the party given by American soldiers in front of the local chateau John asked Zdenička for a dance. Mum thought they made a lovely pair and she invited John to come round. God knows how they understood each other. Zdenička was nearly 16 years old and that´s why love was something new for her, not known so far. John got used to coming to their house. He was pleased to watch the village preparing late in June to its first peace fair. All people cleaned their houses, cakes were baked, houses were taking on festive garb. John helped Zdenička and above all he wondered what this „pauť“ looked like. Zdenička worked in Pilsen those days. Fair preparations were in full swing. Mum with grandma laundered curtains in an old trough in a small yard. Mum noticed a wire lying on the ground going out from the house gate. „What a mess like this?“, she thought to herself. She grasped the wire and dropped down giving a shout. Grandma came in a hurry to help her, but she also drops down struck by electric current. There was nobody in the house in addition to both women. The neighbours might have heard screams and came in a hurry to help. They looked up John and he arrived, together with ambulance and an American doctor. There was still a hope. The doctor bent over the lying women. He was then straightening slowly up and it was clear from his face that there is no hope any more. Zdenička remained alone for everything. It is since recently that she has no longer been a child and carefree life has been cut off by a stroke of misfortune. The girl had to care for household, dad and brother. She had to cook, wash, care for a small household. John consoled, helped. He knew much of the warcraft, but he wasn´t able to milk a small goat. Hardly ever could believe who hadn´t experienced it for himself. And things went on. Time slowly healed all wounds. Fate was preparing new ones. The stay of the power unit Ranger in Dolní Lukavice was about to end and on 6th August soldiers were moving away to Holýšov. Zdenička´s nearest friend was going away. John came cycling from Holýšov to Zdenička several times. But fate was running in machine rhythm. Soldiers were returning to the USA. All that remained were exchanged addresses and memories. Time rolled on.. Zdenička was getting used to being forgotten by John. But he didn´t. He wrote a long letter addresses to Zdenička´s aunt. He had reason not to have written right to Zdenička. After the letter had been translated they learned that John had returned to Cleveland in Ohio to his wife and two children. And that he worked in a store run by his wife. Hr apologized not to have announced this fact earlier and offered his friendship. Zdenička bore up well even this news and didn´t refuse offered friendship. She answered the letter and other letters followed. John wrote that his business didn´t pay much and that he came over to work in Cleveland´s steelworks. And then he got a letter from Zdenička saying that she had got married. 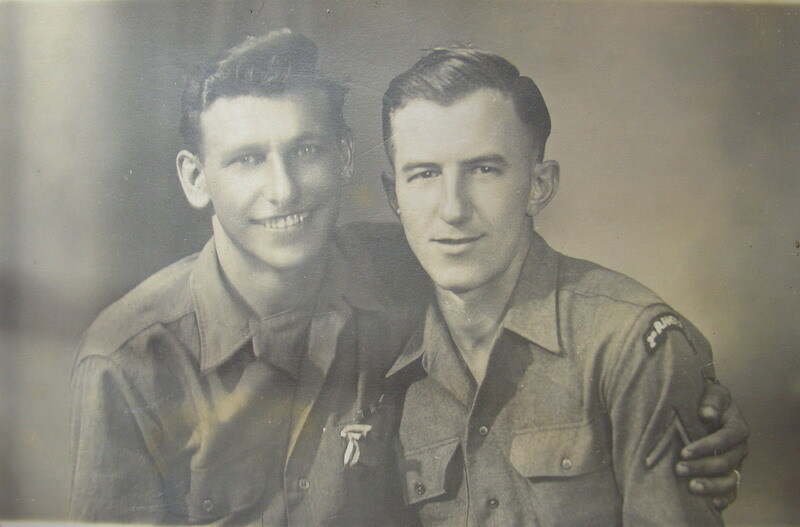 In 1950 John Shobey was, in the time of the war in Corea, called up to the Army again and taken on the staff of a special Ranger group and he was ready to leave for the war for 15 months. Correspondence went on, life in both families was running normally on.. John was further working in the steelworks. In 1962, due to a while of carelessness, he lost 4 fingers on the left hand working on a big press. In 1964 the Shobeys sell their old house and buy a new one.. Installments are high, John joins a second job. He didn´t také part in fights in Vietnam in 1965. As the year 1966 approached John with his wife Thelma arrived to see Zdenička and her family. They stayed for a short time and invited Zdenička and her husband to visit them in the USA. Situation in Czechoslovakia was turning better but Zdenička didn´t find courage yet to travel to America. And fate was not going to be merciful. In 1977 john´s wife Thelma died. He remained alone with his son and daughter. Almost every following year he was coming to Dolní Lukavice. He fought grief. On the visit in 1980 he was accompanied by his daughter Sandra. In 1981, after 27 years of heavy work in the steelworks, in the age of not completed 62 years he retires. Fate didn´t want even after so many years be merciful. In 1986 John arrives to Dolní Lukavice again. He doesn´t have a feeling of accompanying Zdenička´s husband on his last way. John offers help again. Zdenička can´t accept. Time heals even hard misfortunes. One year later Zdenička set out for the first time to the USA. Then follow other visits. John is a good host and companion. He showed Zdenička round the whole North of the USA. He offered her a common living in America. But Zdenička was always happy to come back to Czechia to her children and grandchildren. She has been many times to the USA. And John has been several times inCzechoslovakia. In 1991 he takes over a historical seal of the town from the mayor of Pilsen. A day of big decision approached. John leaves his house to his daughter Sandra. In 2001 there was a civil wedding in the USA. An American John Shobey and Zdenka Kohoutová joined in matrimony. John received permission for a 10-year stay in the Czech Republic. AS he himself says: „It´s enough, I am pleased with it.“ He was beset by variety of infirmities of old age. He breathed with difficulty, he was all aches and pains. He often thought in sleepless nights that his fate was staring at him. He admitted that he had long been off without Zdenička. Former American soldier John Shobey is not alive yet. He died on 3rd March 2003 in the age of 84. He is buried at the new cemetery in Dolní Lukavice. 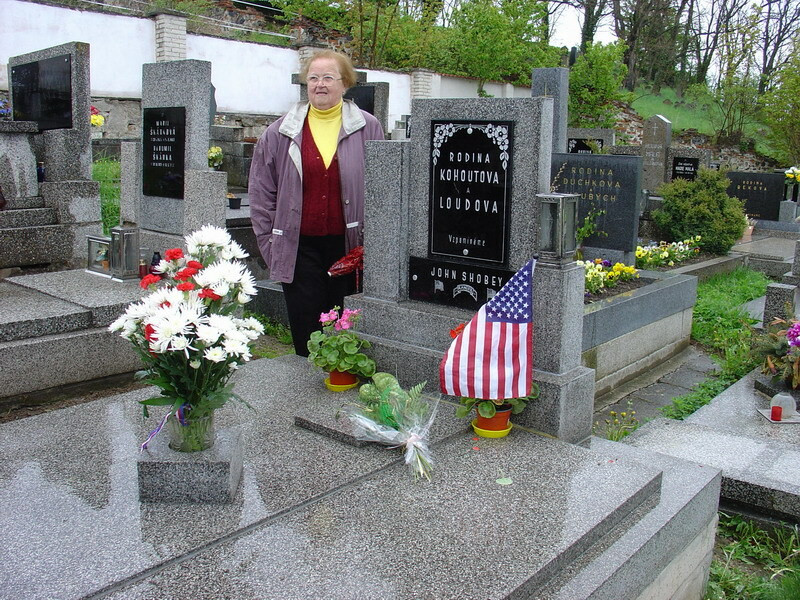 Mrs.Kohout (Zdenička) by the grave of John Shobey at the 60th liberation anniversary. Rangers in 1945 John Shobey (on the right). 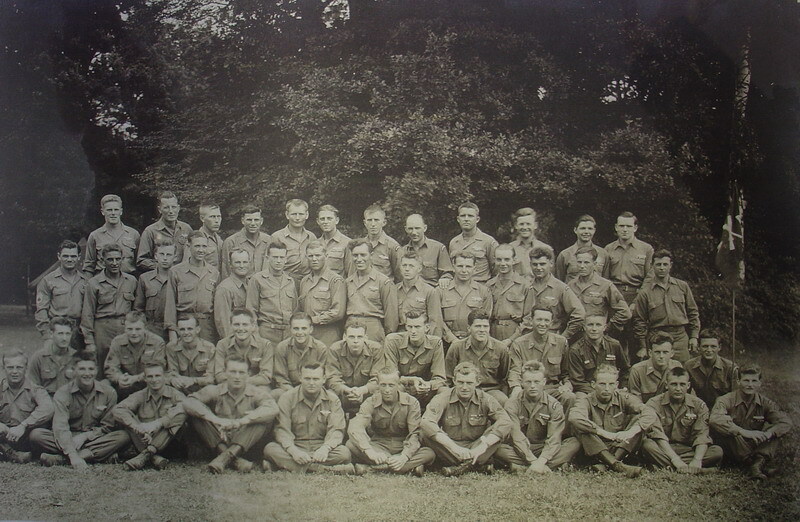 American rangers in D. Lukavice in 1945.